Anything that makes a tedious exercise session more alluring is welcome right? Better still if it helps you reach your body image goals in the shortest possible time. Yes, it’s possible to make traditional workout routines a bit less daunting. One such welcome device is a whole body vibrating machine. If it’s new to your vocabulary you’ve been missing out on possibly one of the best fitness inventions ever. But what exactly does it do? What is a Whole-Body Vibrating Machine? Imagine standing on a rapidly shaking platform which does all the work to tone your muscles. It’s that simple and simplicity is appealing right? 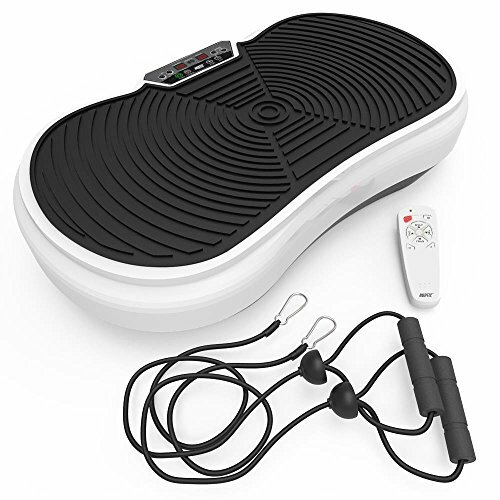 A whole body vibrating machine is the latest fitness innovation designed to help you experience accelerated weight loss without over exerting yourself. It won’t replace your workout, but it can enhance its effects. Here’s why. This is all about working smart, not hard. You can get more results by adding this gadget to your fitness routine. It’s designed to transmit energy to your body forcing your muscles to contract and relax dozens of times each second. This is a passive approach to exercising, but still very effective. Pivotal Vibration Machine: Also known as the Oscillation or Seesaw, this machine is designed to engage your entire body. While you’re standing this machine tilts around a central pivot point like a see saw. The left and right sides alternate up & down while the center remains fixed. Linear Vibration: Also known as vertical vibration, this type mostly focuses on the lower legs. It remains horizontal at all times with the entire platform moving up and down. What Are the Benefits of Using the Whole-Body Vibrating Machine? Any exercise tool requires some guidelines to ensure effects, but also safety. Here’s what you should consider when selecting and using yours. They come in many different designs but what’s worth noting is if it has handles or rails to hold on to. Why? 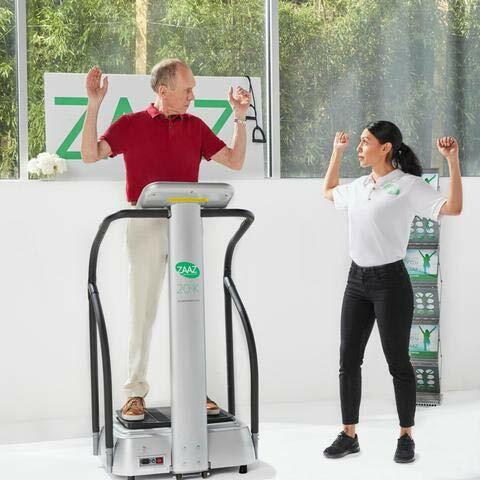 Depending on the intensity & frequency of the vibration it’s advisable to opt for a machine that has handles to help provide support, so you can keep your balance. Are you looking for therapy, fitness training or both? Knowing what your goals are will help you select the correct machine. If it’s for therapeutic purposes, then lower frequencies will suffice. This means a pivotal machine is ideal. On the contrary if you want to engage in a more demanding routine that requires higher frequencies then use the linear machine. If you’re still unsure about the value of these machines, let’s give you clarity by answering a few questions. Are Whole-Body Vibrating Machines Cleared by the FDA? 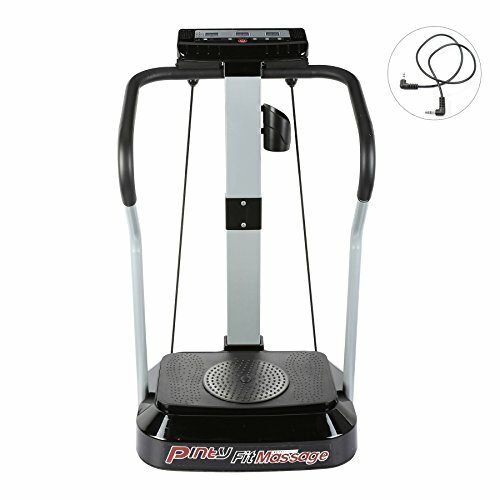 What is the Difference Between a Vibrating Platform and Full Body Vibrating Machine? The answer is there is no real difference. These concepts are intertwined because you need to stand on a vibrating platform in order to get your whole body to vibrate. Now let’s help you pick yours from some of the best on the market in 2018. 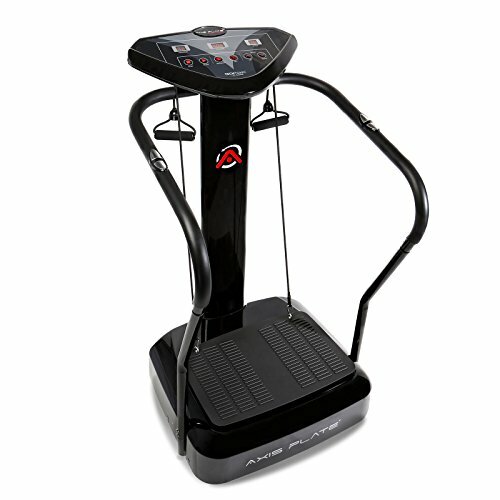 This oscillating platform machine is designed to manage your workout recovery and relieve stress. Experiencing any pain in your muscles? 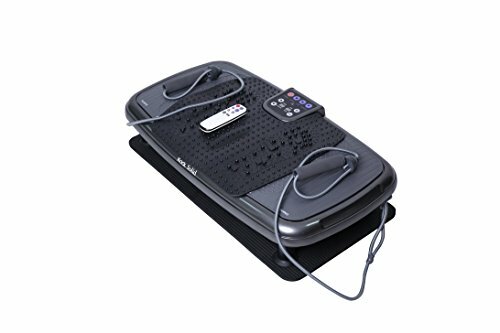 This premium full body vibrating machine is designed to relieve muscle and joint pain. This model is a FDA listed class I medical device. This means using it will be beneficial for some medical conditions like diabetes. It’s commonly used by physical therapists, athletes and doctors & is suitable for all ages. It’s even appropriate for people of varying fitness levels. You can make use of the instructional DVD manual and poster for workout positions to guide you if you’re unsure how to get started. Check current price. Looking for a quality vibrating gadget? Then you’ll appreciate this high quality full body vibrating machine. The low impact and easy exercises can help you reach weight loss or fitness goals & all in the comfort of your home. This compact device is designed to increase muscle strength as well as improve circulation. It even affects undesirable cellulite and can increase bone density. Versatile right? However, you need to get medical clearance before using it if you suffer from any joint or heart problems. Check current price. Want to enjoy the benefits of a vibrating device without breaking the bank? This is the best budget full body vibrating machine you can find. 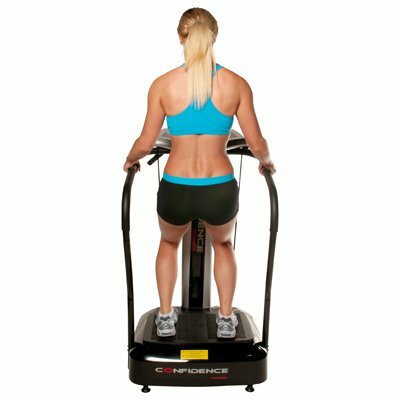 It has a 2000W power motor which effectively shakes your whole body helping you improve your stamina. You’ll even notice a difference in your blood circulation and general fitness. If you’re looking to do a low impact workout routine which yields fast results this could be your perfect buy. Using this model will help you burn fat and enjoy improved flexibility & chronic pain relief. We think the best part for the modern generation is that you can listen to music during the process thanks to the integrated music player. This model creates a high frequency vibration that causes your stretch reflex resulting in your muscles contracting involuntarily. Final result: No strain on your body whatsoever. For your safety it has handrails. Check current price. This is the best runner up full body vibrating machine because it impresses with being made of premium quality parts such as a time-tested motor. 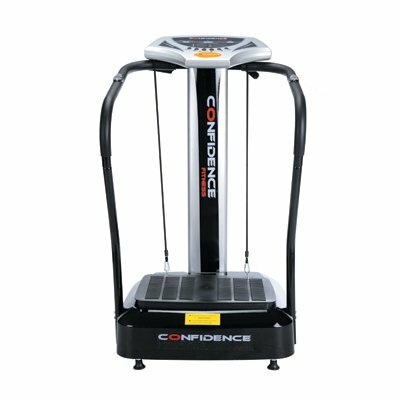 In case you think you’re too heavy for a vibration machine, its sturdy steel construction can support anyone who weighs up to 265lb. You can customize the intensity of the vibration to suit your pace thanks to the 99 speed settings. It has three pre-programmed workouts and a manual mode option. You don’t have to worry about falling off because it has built in handles to give you support and help you manage balance. This vibration machine is easy to operate and nice to look at because of its sleek, compact design. Storage won’t be an issue because of the front mounted wheels for easy portability. Check current price. This particular model uses safe and gentle oscillating vibrations to stimulate the cells in your body & muscles. By working out in just as little as 10 minutes per day you can expect toned & shaped muscles, fat burning and reduced back & joint pain. You can amplify your core strength by up to 50% with this model. However as with all these machines they should be part of an overall exercise program to ensure maximum results. It’s fitted with adjustable yoga straps to help you work on your upper body and arms. The device has 3D vibration motion and is highly effective in promoting blood circulation & improving bone density. Check current price. This is the best overall vibration platform. Why? All you need is 15 minutes daily and you’re on your way to achieving your body goals. It’s compact so you don’t have to worry about this machine taking up your living room space. You can tone your thighs, abs and buttocks, plus you’ll improve your muscle strength while burning fat in the process. Using this model will see you enjoying health benefits like enhanced metabolism and increased bone mineral density. You can also add stress relief to the list of benefits. It’s a great all around machine. Check current price. You can see this is a very convenient device to include into your fitness regimen. You’re guaranteed maximum results with minimal effort. No wonder it’s being added to many people’s fitness routines. Will you be one of them and get to those health goals faster?